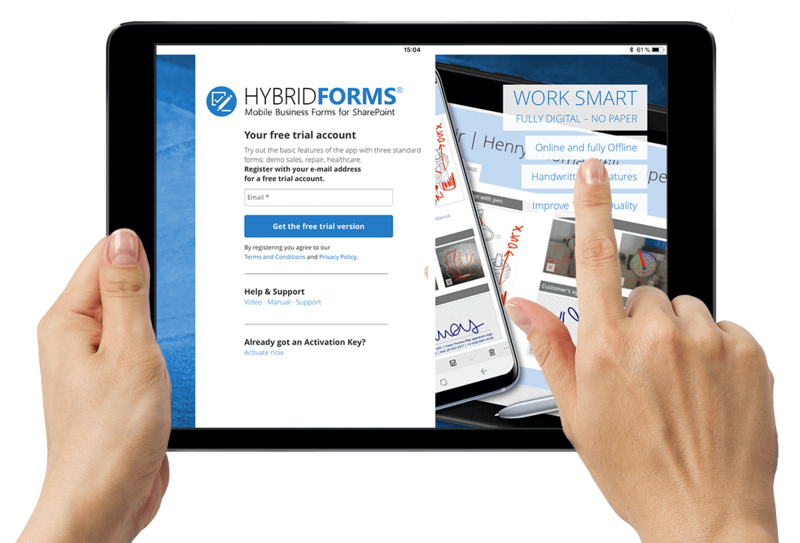 Test the HybridForms Demo App free of charge – without any obligation to purchase and completely risk-free. 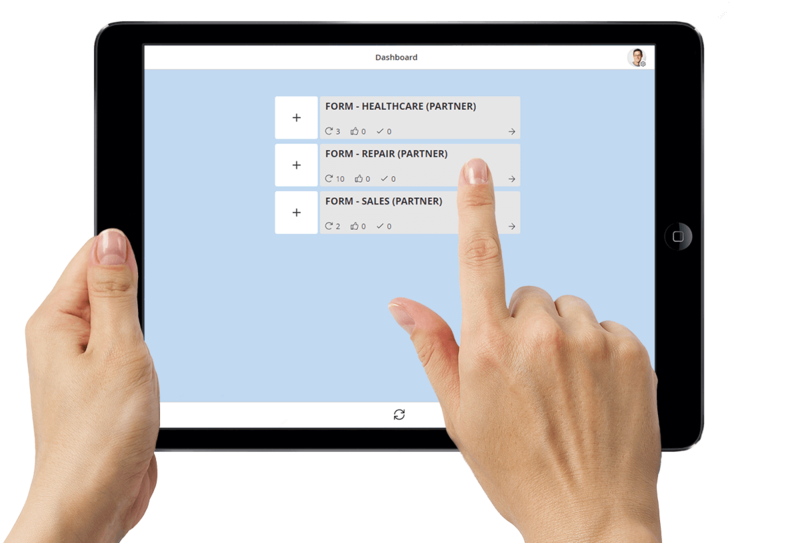 You can try out the mobile app with sample forms from industry, field service and healthcare in four languages (English, German, French, Italian). You will get to know the system and the mobile handling. 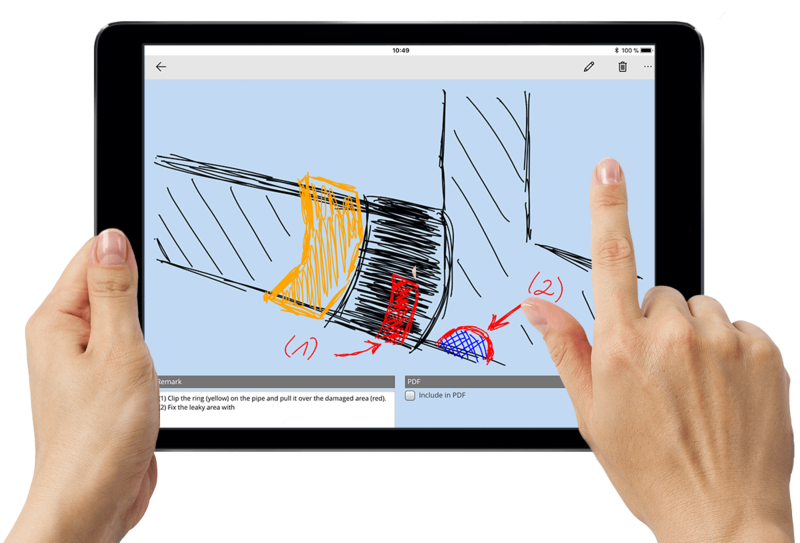 And you can try out selected functions such as data input in form fields, taking photos, annotating images, drawing sketches, recording voice memos and adding handwritten signatures. Use it to test the suitability of various tablets and mobile computers for everday use. Please note that this free version of the HybridForm Demo App offers onlya limited set of features. You will receive individual user access for one or more users, an activation key for two weeks as well as access to icomedias servers with many different sample forms. This allows you to test the HybridForms app more extensively as well as access SharePoint, download and print forms as PDF versions. Forms are stored and synchronized with the server and your various devices. 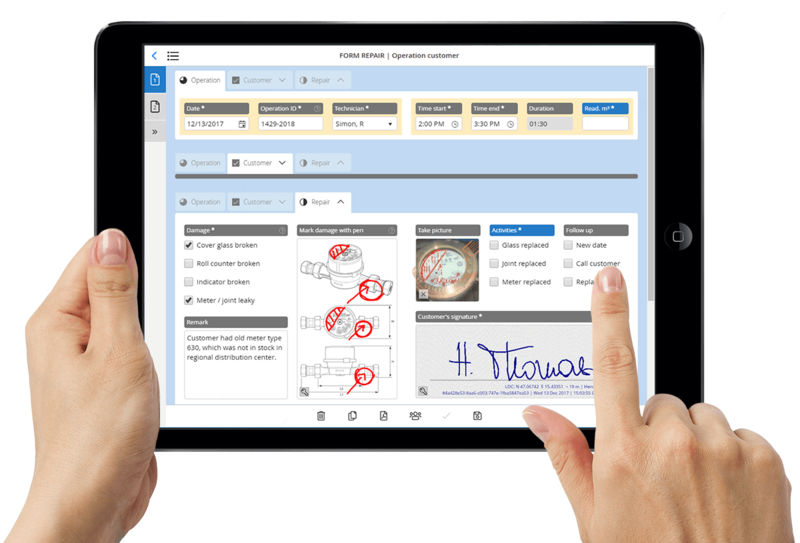 With the Proof of Concept (PoC), you can try out mobile forms with HybridForms under real conditions – with your own tailor-made forms and, optionally, also integrated into your systems. For real results. Optionally with integration into your systems. Optionally also with installation of HybridForms on your servers. 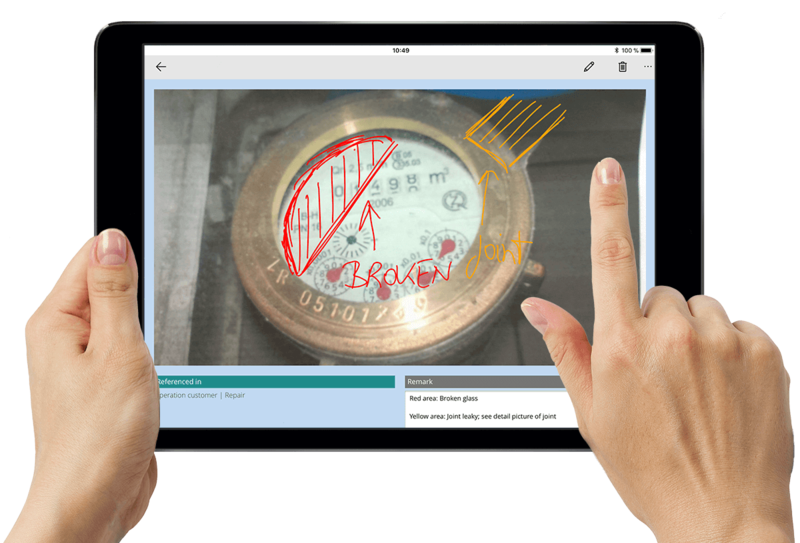 Benefit from the safety and sustainability of a Proof of Concept!